Packing as per customer’s demand. 2) Motorcycle driven chains: 415,415H,415P,420,420H,420P,428,428H,428P,520,520H,520P,530,530H,530P,630 and series of super reinforced chain. 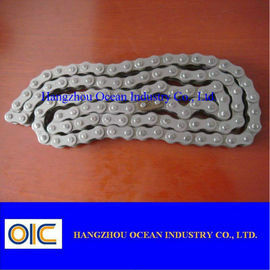 Our motorcycle chain are use in all kinds of motorbike like Honda, Yamaha, Suzuki, Kawasaki and so on . More than 20 years advanced technology and experience of us will give strong support for the motorcycle chain you need. We will understand your need of product quickly, and give quick respond and good service. A lot of cases of our products will show you that it worth your trust.